The end of 2010 !! By the end of the year, Kyoto snowed..... A lot!! so much, but look at these photos! We hope you had a nice 2010 and happy new year!! 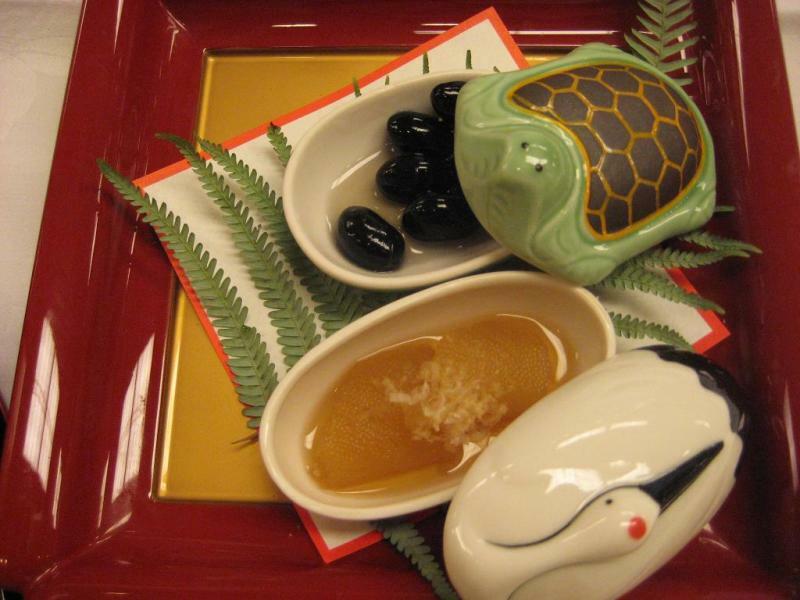 These are called Osechi Ryouri, which eaten to celebrate New Year. but please try once, to experience what Japanese people eat. 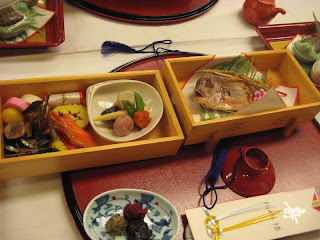 "Breakfast of New Year 2011/01/01"
Last SUNDAY, there were EKIDEN road relay high school championship held in Kyoto. We have three high schools as guests of our ryokan who perticipate in this relay. Unfortunately none of these three schools won the championship. However they all did their bests and enjoyed the race. The part of cource for Boy's class are very close to our Ryokan. These are pictures of them. Getting throught Kawaramachi Marutamachi intersection. The car is showing thier total time from the starting point. There are Police motorcycles lead and follows the runners. unfortunately the Tea Ceremony for 18th December is now cancelled. There will be another ceremony on 28th December. 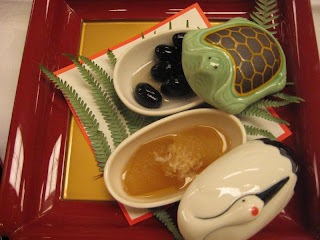 This ceremony will be the last one before the New Year. Hope many people will come and enjoy!